Giving Tuesday, the global giving movement that offers a charitable counterweight to Black Friday and Cyber Monday, helps communities across the world. Here are Times of San Diego’s top 10 ideas for supporting deserving organizations in San Diego on the 2018 #GivingTuesday. 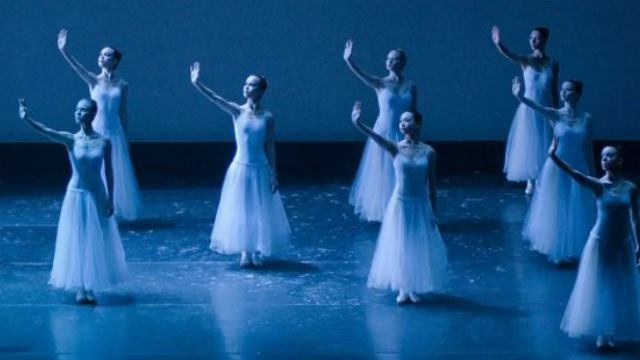 Ballet — The City Ballet of San Diego won praise for its Tchaikovsky Spectacular earlier this month, and the beloved Nutcracker ballet opens Dec. 7. You can support this local arts institution, which provides arts education for over 10,000 school children annually. The first $5,000 donated will be matched dollar for dollar. Neighborhoods — The Larry Himmel Neighborhood Foundation is a grass roots nonprofit formed to help make San Diego a better place. Your donation can help support the late broadcaster’s vision for the city. Veterans — Wounded Warrior Homes, the 2018 California Nonprofit of the Year in the 39th Senate District, provides transitional housing to single veterans with traumatic brain injury and post-tramatic stress. Your gift can help these veterans with safe and secure housing, food, and comprehensive services. Women — Help preserve the historical record of California women with a gift to support a unique local museum. 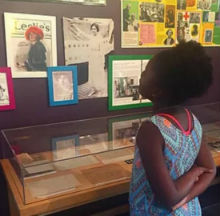 The Women’s Museum of California, founded in 1983 and now located in Liberty Station, is dedicated to bringing untold stories of remarkable women to light. Libraries — Help the next generation of San Diegans learn with a donation to the San Diego Public Library Foundation. Gifts will be doubled through a generous match from the Lily Lai Foundation, and there is a chance to win two roundtrip flights on Southwest Airlines. Cancer Research — You can help fight cancer locally with a gift to the world-renowned J. Craig Venter Institute. A $40 donation to the institute’s oral cancer research project will provide enough resources to test two tumor tissue samples for important biomarkers. Literacy — We may think literacy is universal in the United States, but it isn’t. The San Diego Council on Literacy helps those who can’t read obtain this vital life skill. Your gift will help fulfill this mission. Refugees — Jewish Family Service of San Diego was founded a century ago to help refugees from World War I. Now the social service agency is helping the latest wave of people fleeing violence. Your donation on #GivingTuesday will be triple matched, thanks to the generosity of local philanthropists Evelyn & Ernest Rady. Aerospace — The city that gave the world Charles Lindbergh’s transatlantic flyer, the B-24 Liberator and the Predator drone records this history in a growing museum. Your donation to Balboa Park’s San Diego Air and Space Museum will help inspire and educate the next generations of aviation pioneers. Local News — We’d be remiss if we didn’t mention Times of San Diego. Our news will always be freely available, but we ask readers to pay what you want to support our growth. If just 100 readers sign up to contribute $5 per month, we could significantly expand coverage of the California state legislature in 2019.